HomeRIP, Louis Zamperini. Beyond Unbroken. 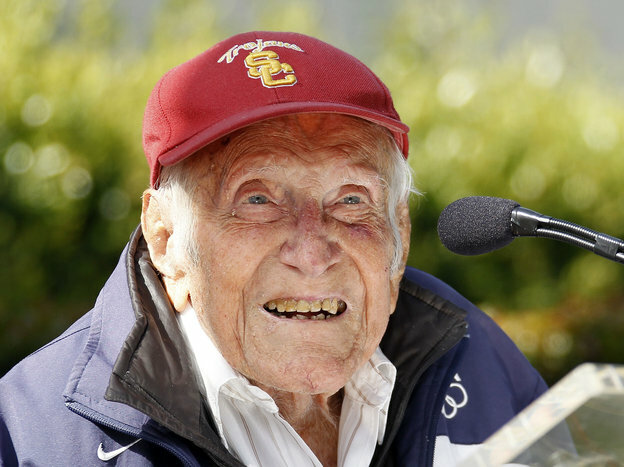 RIP, Louis Zamperini. Beyond Unbroken. Today I pay respects to Louis Zamperini. Olympian. Member of a WWII bomber crew. A hero who survived a brutal Japanese POW camp, and went back to FORGIVE “the Bird,” the man who beat and starved him for years in an attempt to break his spirit. I pay him homage in Blade of Dishonor for his unwavering perseverance. Rather than let his hate consume him, he pursued what to many of us would be the unthinkable, and lived a long and prosperous life because of it. Read the book UNBROKEN before the movie comes out. Who knows what they’ll change. The book was written by Laura Hillenbrand with his assistance. The full obit on NPR.